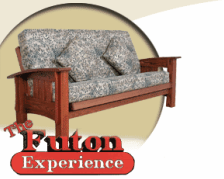 Each Futon Matttress has it's own unique comfort feel. 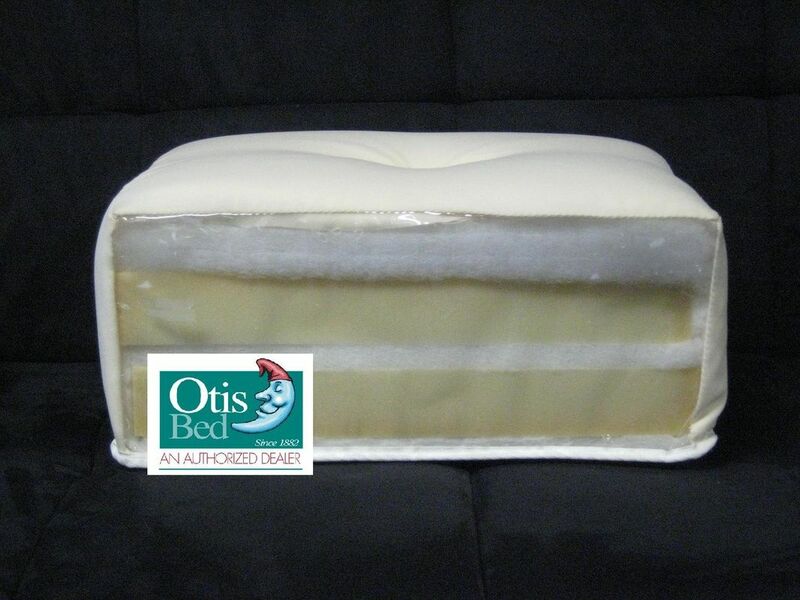 We have provided a brief description of each mattress along with prices and cross sections for your convenience. The 6" single foam has a firm feel. One layer of foam wrapped in joy cotton batting. The 8" double foam has a medium firm feel. Two layers of foam wrapped in joy cotton batting. The 10" double foam has an extra firm feel. Two layers of foam wrapped in joy cotton batting. The Feathertouch has a soft feel with four layers of convoluted foam wrapped in joy cotton batting. 7" in thicknes. The Comfort Coil has a springy medium firm feel with two layers of foam, an innerspring core wrapped in joy cotton batting 9" in thickness. 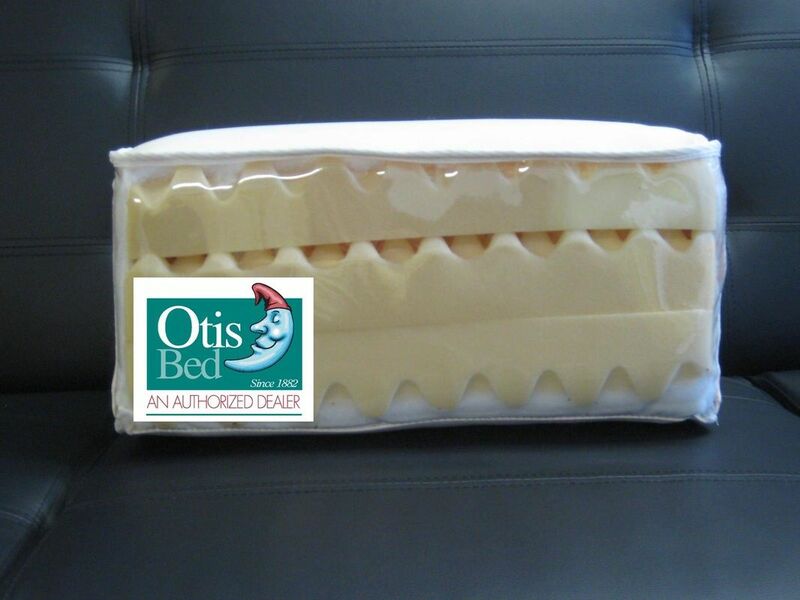 This Otis futon has firm feel with a high density foam core. 100% polyester ticking. Single sided tape edge, layers of F.R. rayon batting. Dual Comfort. ​Not Sold Online. Exclusive Brick and Mortar Collection by Otis Bed. 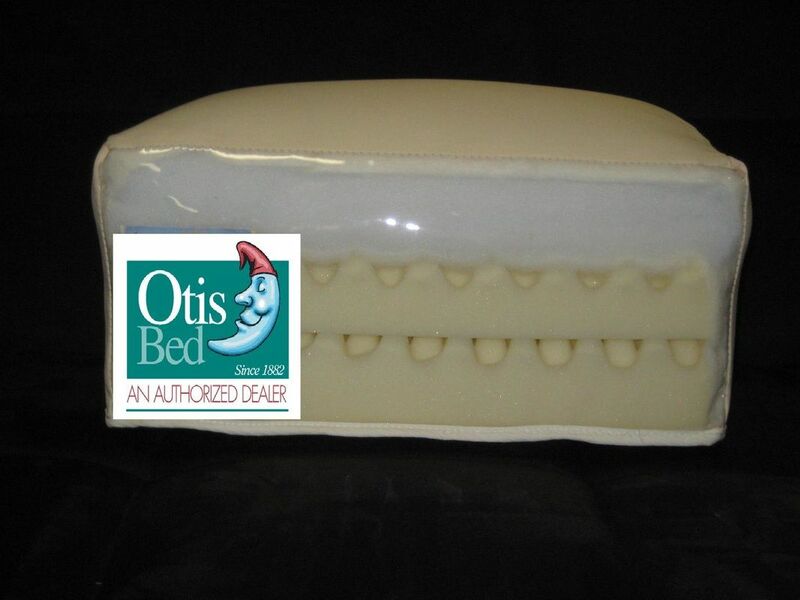 This Otis futon has a soft but dense feel. Constructed of layers of high density convoluted foam, rayon and polyester. 100% polyester ticking. 8" in thickness. Wrapped in layers of polyester and rayon. The feel is very supportive yet comfortable. Adjusts to the contours of your body.